On what finger you wear a ring "save and protect"
The position of the rings on the hands of the girls give a full picture of her inner world. And also their correct location will make the hands more attractive. The thumb usually wear very expressive and energetic people, passionate and passionate. According to astrologers, it is the wearing of a ring on the thumb could restrain the ardor of man. It is better to wear copper rings. On the index finger often wear rings people are modest and shy. It is believed that the strength of Jupiter which belong to that finger will make a man more confident, improve internal strength, enhance self-esteem. This finger is recommended to wear rings of tin or gold. The man who lacks good luck in life, it is recommended to wear rings on the middle finger. Also, if there is some ring that is passed on from generation to generation, it also must be worn on the middle finger. It is believed that wearing rings on this finger makes it easier to endure the difficulties and hardships. It is best to wear rings of iron. 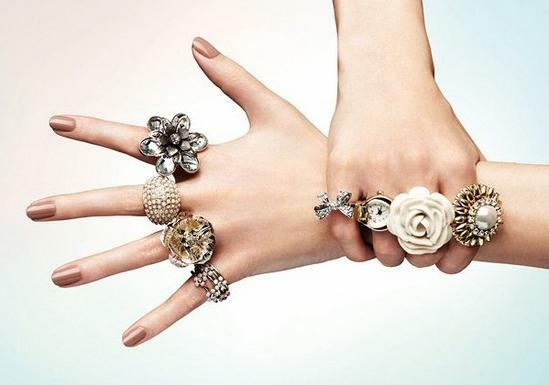 On the ring finger is best to wear as on a forefinger, gold and other rings made of precious metals. Ring on left hand ring finger symbolizes that a person is free and willing to start a relationship. On the right hand ring says that the man is already married. For those who don't have the courage or skills to uncover the self, it is recommended to wear a pinkie ring. Astrologers believe that wearing the ring on the little finger will help you to conduct important negotiations or business meeting. However, psychologists believe that those who wear the ring on the little finger, often lying and prone to adventure.